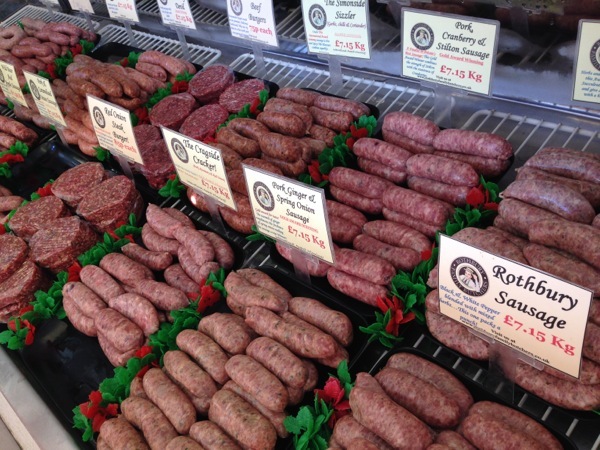 I’ve been a big fan of Morris at Rothbury Family Butchers since pretty much when I started www.sausagefans.co.uk! He was one of the first to market with a sausage starter pack which is a great way for people to try a variety of sorts of sausage in one delivery! Back in 2010 I was asked to write a list of my top twenty sausage makers and Morris was on the list then and he would be on there today. I jumped at the opportunity to catch up with Morris and visit his shop in Rothbury in person. 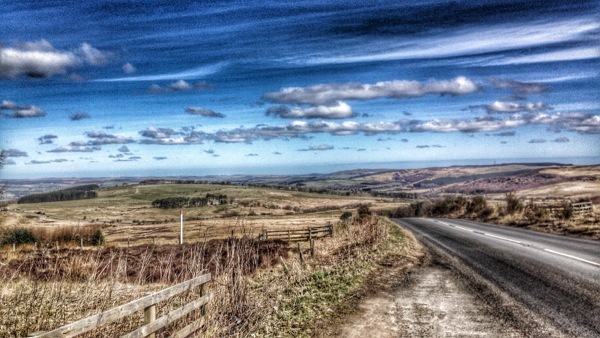 I know this website is about sausage and not landscapes but I couldn’t resist sharing this with you from the journey over to Rothbury Family Butchers! But on to the shop and sausages! In addition to the fabulous shop frontage you see above Morris has also expanded into the shop to the right. For the people of, and visitors to, Rothbury this is magic because this means you not only get the meaty magic that is the butchers but also a deli! Cold meats, pork pies, tea, coffee, sandwiches, whatever you fancy they have! While I was there Callum, who works with Morris, was working his magic and making some serious sausages. I was lucky enough to get to try the venison, chilli and chocolate. And what a sausage to try. This is a venison sausage game changer. I’ve tried a few venison sausages but the addition of chilli (and sweet chilli sauce) and high cocoa chocolate takes it to another level! You need these sausages in your life! If venison isn’t your thing I can recommend anything from the range as it will be first class!